Mr. Benchley, originally of Worcester, Massachusetts, was first and foremost enamored of Manhattan. He was later lured to Hollywood but he was not especially fond of the movie capital. And though his love for New York City endured, Hollywood did, nonetheless, manage to seduce him. When Mr. Benchley moved to New York, he was a zealous teetotaler and committed pacifist recently wed to his childhood sweetheart. Some years later, while managing editor of Vanity Fair (then an arts and culture magazine), he fell in with other ambitious young writers who, with him, would form the famed "Vicious Circle" at a round table in the Algonquin Hotel. As one of the centerpieces of what would become New York's "in crowd" of the Prohibition Era, it was not long before Mr. Benchley, while visiting a speakeasy with Mrs. Parker and Mr. Sherwood, took his first sip of "demon rum." The drink with which his friends introduced him to the joys and tragedies of alcohol was the Orange Blossom cocktail. The Algonquin Hotel. 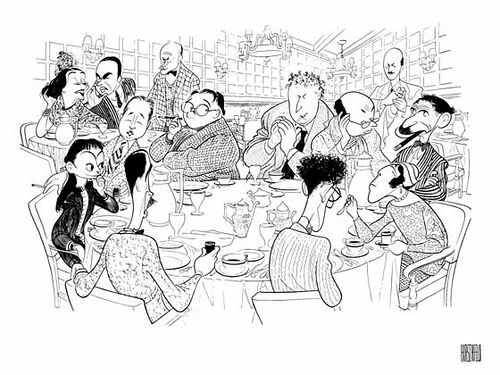 At the round table, from left: Dorothy Parker, Mr. Benchley, Alexander Woollcott, Heywood Broun, Marc Connelly, Franklin P. Adams, Edna Ferber, George S. Kaufman and Robert Sherwood. In back, from left Lynn Fontanne, Alfred Lunt, Frank Crowninshield and Frank Case. By Al Hirschfeld. "It is the opinion of the present reviewer that the weakness of plot is due to the great number of characters which clutter up the pages. The Russian school is responsible for this." 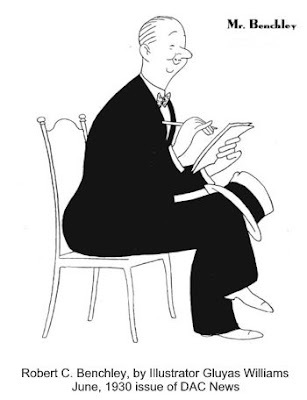 In addition to being an original and clever wordsmith, Mr. Benchley had a gift for performing. 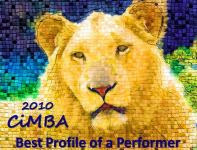 It was during his years at Harvard that this talent began to fully emerge. As a member of Delta Upsilon, the amusing young man with the nimble tongue began regaling fraternity brothers and house guests with mock discourses on mundane subjects. His humor and skill became so well-known and so well-regarded that he was soon being asked to deliver "lectures" at other student events and entertainments. When he began writing theater reviews for The New Yorker, he was already known around town as a very entertaining speaker. His "The Treasurer's Report" routine, performed at a "Vicious Circle" show called No Sirree! one night in 1922 had so captivated Irving Berlin that he pressed Mr. Benchley to reprise the sketch as a regular part of his Music Box Revue for 1923. 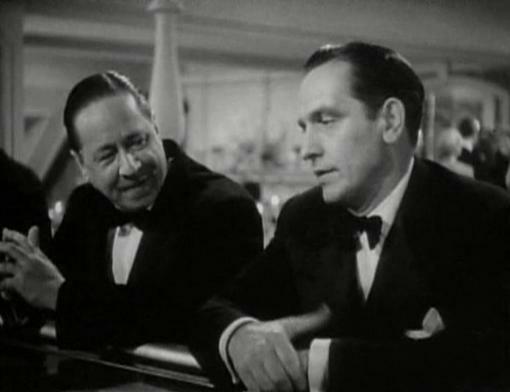 As a bona fide stage actor, Mr. Benchley was paid a generous $500 per week for his droll performance. In 1928, as he was making inroads in the movie business, Fox Movietone filmed his now fabled routine at its studios in Astoria, New York. According to one of Mr. Benchley's biographers, Billy Altman, "The Treasurer's Report is often cited by scholars as one of the break-through events in the advancement of sound pictures..." [The Treasurer's Report was taken down from YouTube and is no longer available there]. Mr. Benchley had, early on, considered movie folk "frothy and inconsequential" and believed motion pictures were but a passing fad. After all, he identified as a New Yorker and his great love was the theater. And yet, Hollywood beckoned him as it had so many of the era's literati (Fitzgerald, Faulkner, Parker, Sherwood, Stewart, and more), with promises of obscene amounts of money for what (deceptively) seemed not very hard work. Mr. Benchley had never managed money well and his overhead ran high. He had a wife and two sons in Scarsdale, while he maintained rooms at the Royalton Hotel in Manhattan. He lived as what has been called a "bachelor husband," and his boulevardier/bon vivant lifestyle, along with the expense of maintaining the family home in Scarsdale and the cost of putting two boys through prep school and Harvard, was steep. Beginning in the 1930s, and much to his chagrin, he was to spend more and more time on the West Coast. He was in demand and the money was just too good to refuse, for Mr. Benchley was eternally in debt. He appeared in dozens of shorts and scripted most of them. One of his best, How to Sleep (1935), won an Oscar. He did occasional screenplay work and was eventually offered bit parts and then supporting roles in major films. On China Seas (1935), with Jean Harlow and Clark Gable, he realized he could actually enjoy the experience of making a movie. While in Hollywood, he invariably stayed at the infamous Garden of Allah, the one-time estate of silents star Alla Nazimova later transformed into a bungalow-style residence hotel to artistes and movie folk. The Garden's reputation was scandalous, but for Mr. Benchley and nearly all of the New York crowd that mined Hollywood, this was their home away from home. Just a stone's throw from two other notorious haunts, Preston Sturges's The Players restaurant/nightclub and the Chateau Marmont hotel, the Garden of Allah was at the heart of Hollywood's high-and-wild life. Though Mr. Benchley had some difficulty reconciling himself to the work he did in Hollywood, his fame and popularity made him one of the most recognizable and beloved comic actors of his time. To the average American he appealed as an affable Everyman (he originated the character "Joe Doakes" in a series of shorts that inspired the long-running but lesser Warner Bros. "Joe McDoakes" series). Others revered him as a critic and humorist, as a mainstay of The New Yorker (from 1925 - 1940) and as one of the founders of the Algonquin Round Table (1919 - 1929). But his personal desire was to be a serious writer and he had even dreamed of, and done extensive research for, a history of Britain's Queen Anne period. These days, some of Mr. Benchley's better known films can be seen on TCM and his short subjects air on the network from time to time as between-movie "Extras." 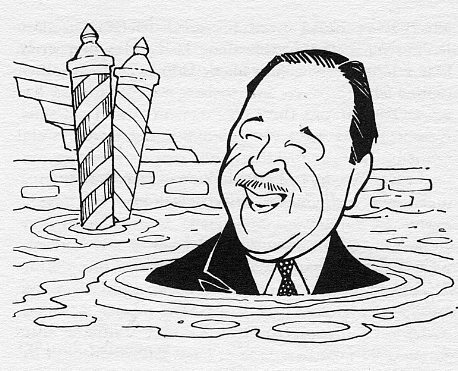 In 1996, AMC host Nick Clooney paid tribute to Mr. Benchley with a brief showcase of his "Hollywood Moments." As soon as I saw the topic of your post I had to rush right over here. What a wonderful and sweet post. This man was truly amusing - a real treasure. I just ordered an orange blossom cocktail a few days ago and he was on my mind! I knew you would be a Benchley fan, Marsha and am thrilled you rushed over. Reading about his life and watching these video clips has put me in the mood to sit down with a collection of his writings. And to watch Foreign Correspondent one more time. Wow, fascinating piece about someone you clearly love, Eve. I was tickled to learn so much about this witty, erudite man. I am so jealous of the era and incredible friends that he was a part of! My Dad was quite an admirer of Benchley, and it totally rubbed off on me! I've always loved and admired Mr. Benchley and because of that really enjoyed working on this post. Would've loved to spend some time with him in New York in the '20s, but probably would literally have died laughing. By the way, as with Marsha/FlickChick, I was sure you'd be a fan of Mr. Benchley. A very entertaining read, Eve - stylishly written. This could make a great beginning for a series on brilliant writers struggling to adapt to the alternate universe of Hollywood. I'm sure it's already been done, but it would be fun to read your take on the subject. 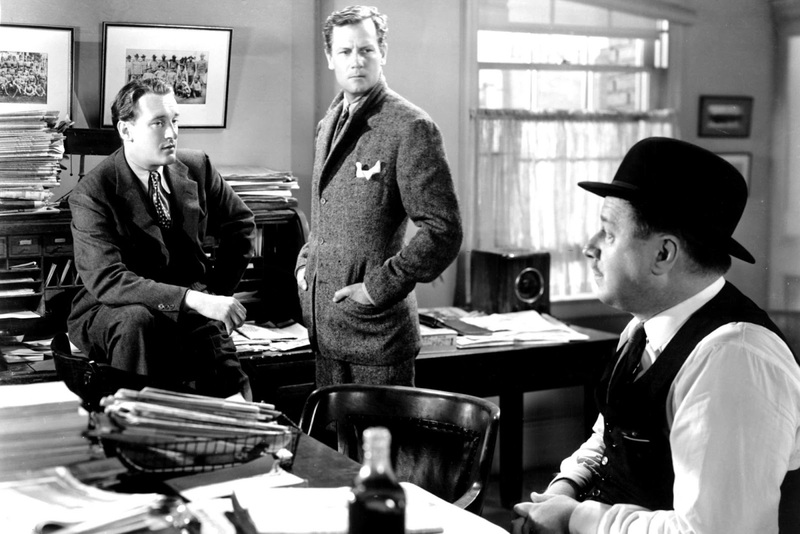 "Mr.Benchley" delivered a healthy shot of irony and class to Hollywood's golden era. Glad you enjoyed it, MB. The stories of brilliant writers who slipped down the Hollywood rabbit hole are interesting but often sad (Parker) and even tragic (Fitzgerald, West). So, perhaps not. Agree that Mr. Benchley made Hollywood a smarter, wittier place while he was there, and definitely added class. A terrific review Lady Eve of a truly unique voice in Hollywood (and New York) screen and stage. His wit is sorely lacking today. I can only imagine him as a screen writer today, how he would skewer our self-serving and egotistical society. But then what would Dorothy Parker have to say? Thanks for highlighting this sage of the Algonquin Round Table. Thank you, Christian. Wit does seem in short supply these days. Mr. Benchley and Mrs. Parker would no doubt have a field day if they were around to critique today's scene. Wonderfully written, as always, and informative , Eve. As you wrote in your reply to Christian, "wit does seem in short supply these days."